Submitted by peter on 28 August, 2008 - 22:06. PTT have a new category of fuel listed: E85. The new 85% ethanol 15% petrol blend will be THB 20.19 per litre as of tomorrow (29-Aug-2008). This makes the new fuel THB 7.20 cheaper than E20. The big question is where are the cars? Despite the eagerness to produce and supply E85, flex-fuel vehicles are still not here. The Thai government are currently working on ways to entice automakers into bringing vehicles with E85 technology to Thailand. 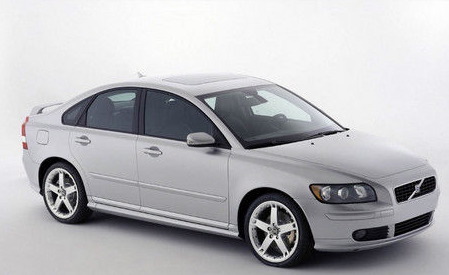 Among the first such vehicles will be the Volvo S40, initially in small numbers for testing. There is a rumour that the Thai government is considering completely removing the 80% import duty on completely-built-up vehicles entering Thailand, provided they are E85 capable. They would then be subject to a reduced excise tax rate as E85 vehicles. Under such a scheme it would be possible for Volvo to import their E85 capable S40 for around THB 1 million. However, it is very unlikely that such a deal would be done without very large strings attached. Possibly in the form of agreements to eventually build the cars locally, meaning more local investment in the future. Why not take part in our poll and share your views on what will be powering our cars in the future.